You might have seen the rifle, but now we’re showcasing our new 9mm GMC (Glock Magazine Compatible) Pistol! The pistol includes one of the most popular features in a 9mm – the bolt-hold back detail. When the last round is fired, the bolt will lock back and stay open. It includes a 9” barrel with Melonite QPQ finish, a mil-spec buffer tube, a 7” Windham Weaponry M-LOK free-floating handguard with a 2” rail section, and a five-position SB Tactical arm brace. GET THE PISTOL DETAILS HERE! Jerred Beehler submitted this photo of his VEX with two coyotes he bagged with it. “I love using my VEX calling coyotes,” he wrote. 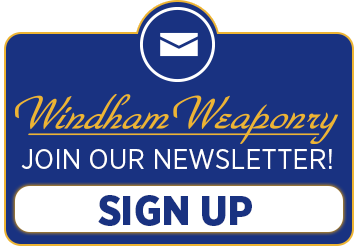 rifle or pistol for the chance to win some Windham swag! We just released our 9mm rifle and pistol. What would you like to see us work on next? Do you have another suggestion? Email us and let us know! LEARN MORE ABOUT THE 9MM RIFLE! LEARN MORE ABOUT THE 9MM PISTOL! Designed to better clean the bore of your firearm, the Battle Rope’s™ integrated bronze brush and detachable hard bristle nylon brush provide twice the cleaning action. The threaded brass link allows for quick detachment of the hard bristle nylon brush for ease of cleaning the rope and its weighted brass end makes it easy to guide the rope through the barrel. The Battle Rope™ features a patented flex cable section allowing you to pass the rope through the ejection port without having to field strip your firearm. Available for .22/.223, .30 cal and .35/.380 and 9mm, simply choose the BattleRope that best fits your needs. Caliber tags help you identify which rope you need. GET YOUR BREAKTHROUGH BATTLE ROPE HERE! AR9 that accepts Glock magazines! We have a 16” barrel rifle and a 9” pistol with the S. B. Tactical SBA3 telescoping stabilizing arm brace! Reach out to Cindy and me for more info and pricing on the 9mm. , to say hello and check out the NEW products! We’ll also be having two live fire sessions to highlight some amazing WW rifles! Windham Weaponry will be in the booth with the guys from Simson Sale Company. Windham Helps Honor First Responders! We were happy to help honor some first responders in Rockville Centre, NY at the 10th annual Law and Order Awards. Charles Gennario, a former commissioner of the Rockville Centre Police Department, by giving him a Windham rifle. Let us know if your group is looking for a special firearm to honor first responders in your area. WISR’s Introduction to Modern Handguns course runs approximately 4 hours and is designed for the first time or novice student to learn safe gun handling skills. 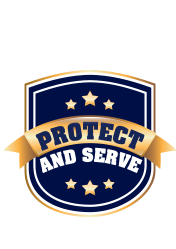 We will cover the skills needed for personal protection or home defense. Topics will include handgun safety, cycle of operation, shooting fundamentals (stance, grip, sight picture, trigger press and breathing), and the effects of stress. The course consists of a classroom portion, hands-on dry-fire instruction, and 50 rounds of live fire on the range.